WE HAVE A WINNER! Congratulations to LUCKY #139 – Sarah Lindsay. She adores Origami Owl and would love to wear a special keepsake locket at her wedding celebration! Well, CONGRATS Sarah, it looks like you’re wish is coming true! I met Isabella Weems and her terrific mama, Crissy, when I was running Believe Boutique in November of 2010. They were wonderful and their product flew off the shelves! You can’t imagine how delighted I was when they called me in early 2011 and asked if I would set up their Facebook page and manage it! Of course I would! I love Origami Owl!! For goodness sakes, I already had purchased a locket that I simply adored and so did everyone else! It was so cool that I could wear around a locket with my kids birthstones & initials. 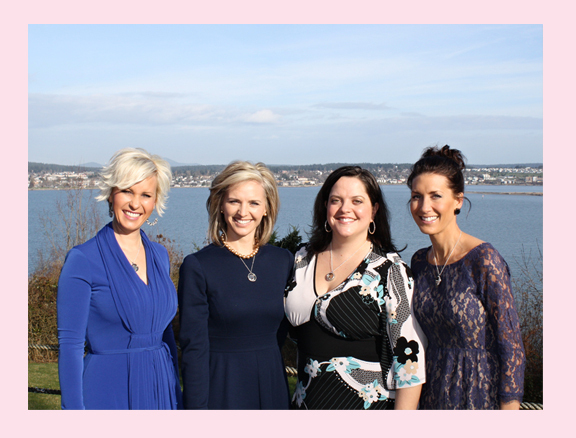 And so it began…the journey of working with Origami Owl. I fell in love with the product and more importantly the people behind the product. I was delighted when the girls at OO came to me with this super special locket just for The Savvy Socialista! I was the first to receive a lovely Rose Gold locket! And how could I resist building an Arizona State Sun Devils locket for ASU football season!? The company has grown! They went from working out of their home into a gigantic warehouse and office space. They’ve hired on an entire staff of people, each and everyone who I LOVE, and have now built the business into one that offers direct sales! Such a cool concept! I consider myself blessed to be part of the OO family! I’ve been able to take these amazing lockets on Sonoran Living. And share with so many people the joy that is Origami Owl! In January I lost one of my very best friends. My grama passed away gracefully in her sleep, very suddenly. It was a shock for our entire family and complete devastation to my heart. But my dear, sweet friends at Origami Owl did such a lovely thing and custom created 4 of the most wonderful lockets for myself, my sister and my 2 cousins. 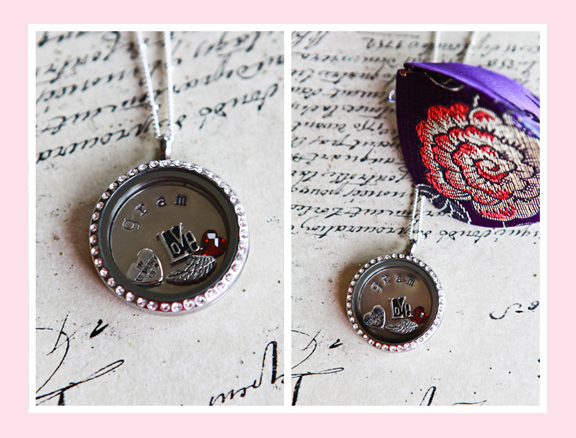 OO created these perfect lockets that have a plate in them that was made special for each of us. Gram is what we called my grama so it was only fitting that they put Gram on the plate. Then they added a July birthstone for her, a In Memory Of charm, an angel’s wing & most importantly a Love charm. I had the honor and joy of giving these to my sister and my cousins just before we celebrated Gram’s life at her memorial service. I can’t even tell you how much these lockets mean to each, myself, my sister and my 2 cousins. We each will cherish the lockets forever. 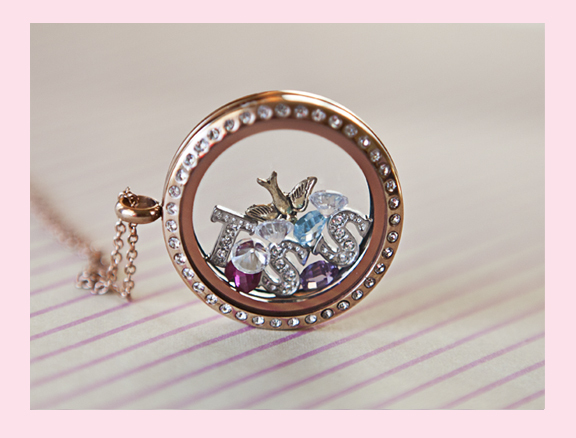 Would you like to win a custom locket from Origami Owl? Here’s your chance! Enter this Rockin Giveaway with 2 easy steps. Please Chat Back for each entry! 1) Become a fan of Origami Owl Living Lockets on Facebook. Post that The Savvy Socialista sent you. Chat back on the blog letting us know you’ve become a fan and how much you love Origami Owl! 2) Are you a fan of The Savvy Socialista on Facebook? Become a fan and leave a post letting us know how much you love OO. Chat back on the blog and let us know! One lucky winner will be chosen on Tuesday, May 22nd using Random.org. Entry will close at 9pm EST. Any entries received after this time will not be considered. This is a sponsored post. The Savvy Socialista may have received payment, trade and/or product in exchange for promoting. *Facebook is in no way affiliated with or a sponsor of this giveaway. I love O2. Waiting to become a designer. Like the savvy socialista on FB! I really love what OO has to offer and can’t wait to be “official”. i tried to leave a comment on their fb page but i wouldn’t let me. I love OO and I am thinking about becoming a designer!!! New to this blog, and I posted on the Facebook page. Going to be giving OO to my 31 team! I LOVE Origami Owl! I bought one for my mother-in-law and one for my mom for Mother’s Day! They just loved them! Such a fabulous concept! I have liked them on Facebook previously and have now liked your page as well! LOAVZE Origami Owl. Liked both of you on FB….such a beautiful and personal product!! Already a fan I love how unique and pretty they are! I just found you on FB and liked your page, Ive been following OO for a while now and i LOVE your blog. y first locket is very similar to yours, In memory of my very best friend in the world who passed away 3 years ago. it has her initial, angel wing and her 2 stones (birth and death month) It was such a breath of fresh air to receive it, like i had a little piece of her with me =) i LOVE origami owl!! I absolutely love OO, and am so excited for this! I like Origami Owl on FB and commented that you sent me. I love their lockets! I love OO!! It’s really great. I so want a heart shaped one!! I am a FB fan of The Savvy Socialista and posted on your wall. I “like” TSS on facebook … and I love OO! I love that there are so many ways to personalize. It’s almost overwhelming! Wishing to win my first one — Thank You! i became a designer in February 2012….I am amazed at how quickly by business has grown and allowed me to meet so many amazing women and hear their amazing stories. Everyday I meet someone new and learn a new life history. Liked OO on FB and told them you sent me! I already liked The Savvy Socialista on Facebook! I love following your posts! I am so excited that you are doing this giveaway. I LOVE Origami Owl!! I liked them on FB too! I never knew about Origami Owl until recently! A friend introduced me to their website! I have been hooked ever since, but have yet to own one. Winning this would be AMAZING!! I had already liked them does that count? And I just like Savvy Socialist on FB too! I love OO so much, it means the world to mean! I love Origami Owl! I have a locket with my children’s birthstones and an Angela wing for a baby I lost and cherish it deeply. I haven’t found any other item that can symbolize so much and be so personal and beautiful at the same time. Thank you OO!! Was a fan of OO and now a fan of Savvy Socialista and would love a chance to win an OO Living Locket! Already an OO fan! My daughter got my niece one awhile back, and I’ve been hooked ever since. And who can not love Isabella’s story. I wish I had that much drive at her age! And, already a SS fan as well! I LIKED Savvy Socialista on Facebook and Id love to win a OO Living Locket. Thanks for the great giveaway! Now a fan of Savvy Socialista. I hope I win the locket! OO is amazing and what they do is special. 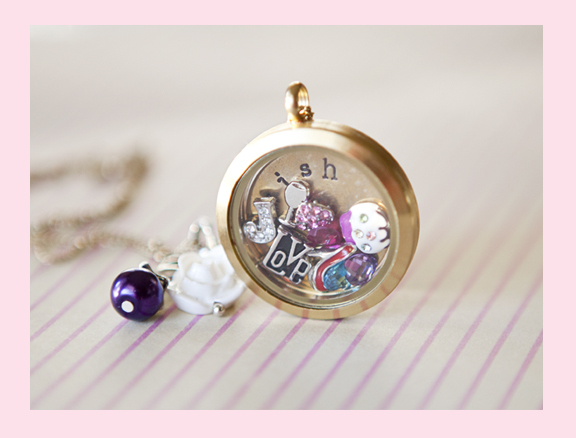 Each and every locket is personalized and unique. I am a fan of both on facebook and will follow closely. Have been a fan of O2 for awhile now… what a great story and a wonderful way to tell a story in a neckless. I LOVE LOVE LOVE this unique way to wear everyday what inspires you! I am a fan! Gorgeous pictures of the Living Lockets! Love being a part of this wonderful company! liked your page & O2. Love these lockets! I have LOVED Origami Owl for awhile now! Great article and how LOVELY of them to send you the sweetest heartfelt necklaces in honor of your dear Gram. This is such a sweet little company and I just adore how it came to be and the faith that the parents had in their daughter’s dream! I just “liked” your FB page and I love all of your cute graphic design. Really modern and refreshing! Thanks for the giveaway and I’m looking forward to reading more Savvy Socialista articles…_Kate B.
I am so excited to find your blog and have been a fan of OO since I saw my first locket a couple of months ago. Thank you for sharing your story about your relationship with OO and your Grams. Thanks or sharing! I have had my eye on OO for sometime now! I am an O2 designer and absolutely LOVE it !!!! Becoming part of this wonderful company is one of the best decisions I’ve ever made! I am a fan of OO on facebook! Just purchased my first one! I love it and can’t wait to add more charms. I love the heart locket…must have that one as well! I’m a fan on FB and I recenlty looked at the Oragami Owl products at a Moms Night Out. I’d love to win a locket! liked both pages! love the lockets! I am a fan on FB of both pages and I recently was introduced to OO by a friend. I can not wait to get one!! I stumbled across OO a few months ago and fell in LOVE with the whole concept. OO isn’t just about purchasing a gift, it’s about creating a memory…..each and every time! I’m a fan of OO on Facebook! I like TSS on Facebook! I just became a fan of TSS on facebook! I am super excited to start putting together these wonderful necklaces for gifts at Christmas! I liked OO on Facebook and posted ss sent me! I love my OO, I have had so many family, friends and people off of the street just as me about it. I tell them my story on what my OO represents and that they can create their own story with their OO. I have been a FB fan for about 6 months and love to read the update and stories. I just came from an Origami Owl party earlier tonight. The merchandise is beautiful! I just became a fan of their facebook page. I would love to win! I’m already a SS fan and just showed some love for OO!!! Love! Love! Love OO! What a great idea Jami about creating a sister locket! I have 3 sisters and this would be perfect! Thanks for sharing! Keep up the fantastic work! Love the Savvy Socialista updates! OO is AMAZING! On the waitlist to become a designer…and my daughter is sooo excited! I’m so glad there are so many fans of Origami Owl. It is such a great concept. I’m on the waiting list to become a designer, my neighbor already sells to all of us! Yesterday I got my first OO locket, and fell in love instantly. I had purchased one for my mom and mother in law too, so what did I do? I went and signed up hoping to soon become a rep…I love love love to personalize things and I see this company growing like CRAZY! The only thing I would love to see (and I heard you had them before) are smaller lockets! I would love to get one for each of my daughters (for a keepsake for when they are a little older.) But even more at this moment…if I were to actually win this, I have a neighbor who is losing her battle with cancer this week and I would love to give a special piece to her daughter in memory of her mom…but we’ll have to wait and see! I am a FB Fan (Monti Cruz) and simply adore these necklaces! i am a FB fan of SS, OO, and I love THESE LOCKETS! i just had one personalized for my cousins graduation! its something so beautiful and personal!! its a great gift for anyone! any you can change the charms out throughout the years!! Fan of OO on FB and posted. Fan of SS on FB and posted. I absolutely LOVE Origami Owl. I am so excited that I was able to join such a fabulous company before they had to temporarily close the designer hiring, but I am so happy they have a wait list up to began hiring again very so. It’s so great to read all the fabulous comments on here and good luck to all you great ladies who are waiting to join the O2 team. Fan of OO–posted some love! fan of SS as well–love love love OO! I absolutely LOVE being an Origami Owl Independent Designer. This was absolutely the BEST decision I have ever made. LOVE the locket pictures you posted, and the one representing your Gram is really special. I love hearing all the stories behind everyone’s locket. I CAN NOT wait to become a Designer. I love your stories! Love OO waiting to become a designer. Your pics that you have posted are great!! Love the in memory of the most! Oh My!! I just discovered Origami Owl, and I am instantly in love!!! I want to be a designer and share with everyone. I like both Origami Owl and the Savvy Socialista on facebook! What an awesome opportunity! THanks!! I am a fan of OO and SS on FB! I LOVE OO and am on the designer wait list! LOVE OO! Currently a designer and love helping others design their locket! Liked your FB page and wrote on your wall how much I love OO! I just received my first OO. I haven’t taken it off! I have received so many compliments. I’m not an OO designer but have told many about the company and just love the way it is created to show who “I” am. My locket includes a purse (because I sell them); a rose (favorite flower); a heart (because I am in love); a book (because it’s my hobby); flip flops (because I’m a beach babe!) and a Republican elephant because I’m a supporter of my political party. Thank you OO! Love OO!! Hoping to become a designer, not only are the living lockets ADORABLE but the concept and story created behind everyone’s individual living locket is so special! I became a fan of OO. I love their product and I do own a wonderful locket. The Savvy Socialista sent me… I love your page. I just purchased my first locket… and today is my first day wearing it. I just love it and have gotten so many compliments. I wish I had gotten a bigger locket or one or two less charms because it’s a “bit tight” in there and I think it would be prettier with the charms floating around… I guess I will have to “win” a bigger one or it will be my “next” purchase. Fan of OO and a fan of The Socialista! Now if only I could tell my story in that beautiful OO locket! Thanks for the opportunity. Been following O2 for a while! They are so unique! I like both OO & SS! I just hosted my 1st OO party last Thursday & can’t wait for my locket! Can’t wait to order more for Christmas presents this year too!! Would love to have a custom a Custom Locket! Liked OO a LONG time ago on fb.. they are adorable! Also, Liked TSS.. thanks again!! I absolutely love these creations!!!! I was already a fan of the wonderful O2 and now im a fan of TSS!! I would LOVE to win a locket!! I love OO. Each one tell’s a differnt story not one person has the same locket I can’t wait to become a designer! I love OO and am hoping to become a designer with them soon. I liked them on FB and liked TSS on FB too! I am a fan of The Savvy Socialista on Facebook, with FB name under this same name. This post touched me so and made me cry! I’m a fan of Origami Owl on Facebook , with FB name under this same name. I love their lockets, purchased one for my sister for her wedding day gift and one for my mom for Mother’s Day. It is now my turn for a beautiful locket! I ADORE OO!! Thank you for hosting such a fabulous giveaway!!!! im now a fan of urs on facebook i hope i win! commented on both! Savvy Socialista & OO working together?= perfect! Fan of Origami Owl and now Savvy Socialista! I LOVE those lockets and can’t wait to get one!! Fan of SS and OO on Facebook! I am a fan of SS and OO. I love the thought of being able to design your own memory. It is such an awesome concept. I have wanted one for the longest time. I AM NOW A FAN OF BOTH SAVVY SOCIALISTA & OO. I AM LOOKING FORWARD TO ONE DAY SELLING OO! HOPE I WIN! I absolutely love OO and would love to win one !! Thank you for the awesome giveaway ! Liked the Origami Owl on facebook! What unique and wonderful designs! I had already liked the OO FB page as I am an Owl in Waiting! Can’t wait to get started and would love to win a locket!! I LOVE OO!!! It would be so awesome to get one!! Love Origami Owl!! I want to win a locket so bad!! Thanks for such a great giveaway!!! Thank you Savvy Socialista for doing this AMAZING giveaway!!! I like both sites on FB. I love the OO designs and have considered joining their team of consultants. Beet jewelry line ever! I can finally wear a necklace that wont cause my neck to break out. I love OO liked their fb page and liked yours as well, I’ve ordered my OO locket but I want 2 get my mom one now!!! I am in LOVE LOVE LOVE with OO! I really need one of my own! I liked OO on fb and showed some LOVE! Have also LIKED the Savvy Socialista on FB and posted how much I like OO!! Am a fan of Origami Owl on Facebook! Am a fan of The Savvy Socialista on facebook! SO in love with O2, already a Facebook fan (actually THEY sent me here to YOU! Eagerly awaiting their coming to Canada to be a rep! I liked OO on FB and I cannot wait to have my party in July! I am a fan of Savvy Socialista on FB! Posted in your fb page, but wanted to say thanks for the opportunity to win one. I think Its great and definitely is promoting growth for your businesses! I love OO! Already like you both on fb. Loved OO so much had to join! Love it! So unique! Can’t wait to become a designer! I love these lockets. I’m on the waiting list to become a designer. It would be really great to have a locket before hand though so I can show people how awsome they are! Became a Facebook fan of the The Savvy Socialista! I also love your website! I am a huge fan of social media and even though I am a technology teacher for an elementary and middle school, someday I hope to do more with social media marketing! I like OO on Facebool! I <3 OO! I ordered my first locket for myself for Mother's Day with all my kids' initials and birthstones and I'm hooked! Can't wait to order another one!! Love the product, and love the story behind it. A fan of both pages! I have an order arriving today, eeek! Excited. Love these lockets. I’m a fan of the SS on FB, too! I love OO!! I am also a fan of both OO and SS on FB! I am new to OO and am already a fan on FB, but I love everything I have seen! I’ve designed so many lockets on their website, just waiting to have a little extra money to order one! I would love an OO necklace. It has so much meaning and I just love the concept. I am a fan of Savvy Socialista and OO on Facebook. Ive been a fan of OO for a while now on FB! Just found O2 yesterday and LOVE IT!!! I just discovered Origami Owl and love these lockets! I would love to win one. I’m now a fan of the Savvy Socialista and Origami Owl and am so happy I came across your site! I wish everryone good luck on winning this its truely an awesome gift! If I dont win I plan on somehow saving some money to try and get one that represents my family with my son and husband and our adventure and struggles to get to where we are now. I think I already know what charms I love and cherish! good luck all! I’m a fan of Origami Owl on fb. Their lockets are beautiful! I’m a fan of Savvy Socialista on fb too! Thanks for this amazing giveaway! Like OO on facebook. Those lockets are gorgeous. 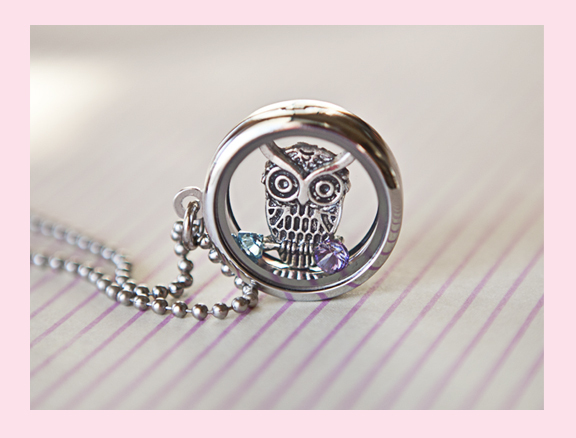 I love Origami Owl….liked you and them on facebook! What a great thing to give away! My daughter and grandchildren got me an Origami Owl Living locket for Mother’s Day and I can’t wait to get it. She let me pick out the charms I wanted soooo exicited. I am so loving O2! I will be placing my first order for a locket soon.. but decisions…decisions on what to create! So many great choices! I love oo! They have beautiful designs! And I would love to own one someday! I think oo is so original and I love it. I was just introduced to the OO product. I absolutely love it! I’m lucky # 2345 on the waitlist. Already a fan of O2. Can’t wait to join them as a designer! Just became a fan of Savvy Socialista on FB. I’ll keep you in mind for future graphic design projects! I’ve become a fan and I love Origami Owl! I already liked Origami Owl on facebook and I told them The Savvy Socialista sent me. I have also liked your website and told you how much I LOVE Origami Owl!!!!! I hope I’m the lucky winner!!!!! Liked your page on Facebook, it is awesome, you are very creative. Love OO and the locket giveaway is fab! The Savvy Socialista – gotta thank you for putting on this contest. 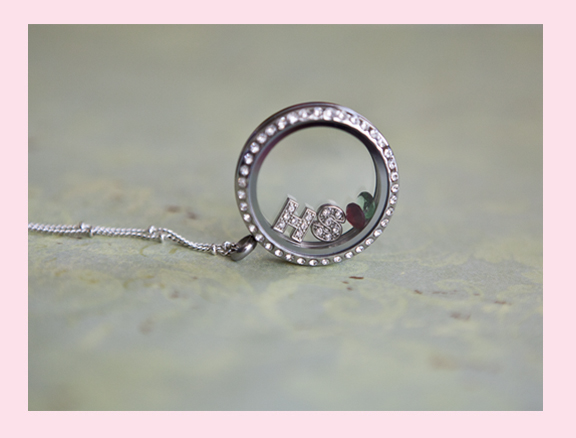 Gave my sister an OO locket for Mother’s Day – It was a total hit and EVERYONE loved it. OO Rocked the day!!! I am so loving OO!!!! I just got my locket in today and I want more already – I’m on the wait list to help spread the joy. 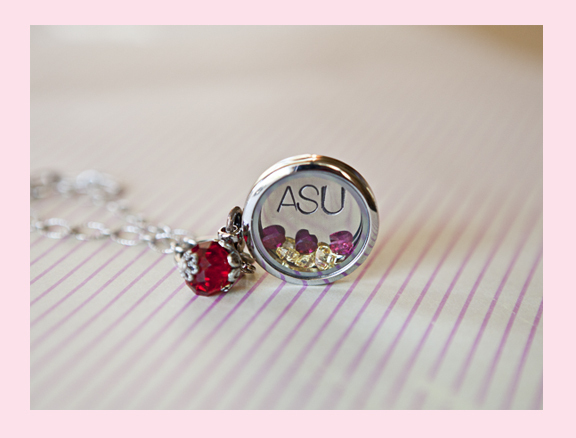 Do you have anymore ASU necklaces available? I would LOVE one! Hi! You will have to check out http://www.OrigamiOwl.com. They sell them. Thanks!